The holiday season is just around the corner and, if you really want to see your mobile app installs soar during the holidays — now is the time to start crafting your holiday campaigns. 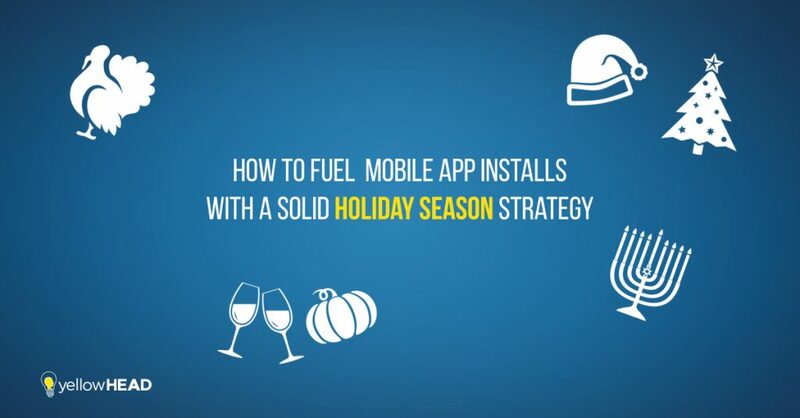 An initial step in the process of crafting a compelling and effective holiday mobile marketing strategy is thinking how you can promote your app and ultimately fuel your app growth through the major holidays: Thanksgiving, Christmas, Hanukkah and New Year’s. These two days are vital for any business’ success and your app is not an exception. With the releases of two new iPhone models from Apple (iPhone 8 and iPhoneX), a lot of users will hunt for deals to upgrade their smartphones. And, although the new iPhone models are not likely to see large discounts, Apple should be generous with gift cards. And many users will take advantage of those gift cards to spend on apps. According to some of the Black Friday phone predictions 2017, Android smartphones will be priced aggressively, with the unlocked Galaxy S8 dropping to $350 or less. Which means that, if you have an Android app, you don’t have to wait until late December to roll out your holiday mobile user acquisition campaign, because lots of new and shiny devices will meet their new owners already in November. The holidays are the most lucrative time for shopping apps to set for success by increasing ad efforts. Think ahead about your UA and engagement strategy for the entire Cyber Week, and leverage the increase of time spent & engagement peak by personalizing your offers. Mobile app downloads skyrocket every December, seeing incremental increases in YoY. But, while your installs may increase, keep in mind that the competition’s do as well, and so do CPIs. It’s critical as ever to know exactly where your most valuable audiences are and when is the perfect time to reach them (remember that it’s holiday madness, so some of your previous UA tactics may not deliver the expected results). This is also a great time to experiment and innovate with new platforms and channels. 2 million monthly advertisers are acknowledging the growing potential of Instagram as the most emerging advertising platform with a huge audience engaging with the artistic appeal of brands. Pinterest can become your source for the large, intent-driven, female demographic and Promoted Pins can help you boost mobile app downloads if you’re targeting women 35+ from the US. Once you define your specific marketing goals for this holiday season (be it retention, re-engagement or user acquisition), you can start crafting your mobile marketing strategy. Remember, it’s not only you who’s leveraging the momentum of the holiday season. A holistic approach is essential to attain the best results from your holiday campaign. For example, when focusing on one single goal for your campaign, it’s crucial to ensure that all your activities (no matter which media platforms your campaign is running on) are directed towards that common goal. Those activities should all be aligned and integrated in such a way that they create a unified and consistent user experience from the first impression of your ad to the actual app onboarding. Predicting campaign performance has always been a part of marketing. But, in the past, it was the sole domain of campaign managers and analysts who had to consider half a dozen factors and 3 to 4 KPIs to make decisions. The age of AI is truly beneficial for us marketers, as it enables us to make better and informed decisions. Predictive analytics can chew millions of data points, spot trends and find correlations – something a person can’t do manually. Furthermore, machine learning based technology like Alison teaches itself to make more accurate predictions based on results. When starting a holiday campaign, you can quickly gain insights into how your campaign is going to perform and adjust it accordingly, thus increasing ROAS significantly. Thousands of advertisers will be competing for the same pair of eyes. If you really want to stand out, creativity is the key. A creative mind can get even a small budget a long way when it comes to promoting your app. Demand the most creativity from your video campaigns – as this is the top format that will help you drive mobile app installs. Remember, it’s the holiday season rush, so make sure your video grabs people’s attention in under a second. App Store Optimization should be a crucial puzzle piece of your holiday user acquisition strategy. When teamed together with your paid advertising activities, it will not only increase app installs, but also generate a healthy stream of organic users, making your user acquisition efforts more profitable. The app page and the assets within it are extremely important for your app, especially during the holiday season. Make sure you put your best foot forward with the best icon, screenshots and description to help convince users to install your app. *Consider iOS 11 and the new App Store release, and the effect on keyword rankings when the title shrinks to 30 characters. The holiday season can create a lot of stress for app marketers. A solid user acquisition strategy, along with proven tools & technologies, and a strong partner will help you go into a large-budget holiday season with ease and confidence, and make the most out of the massive wave of new users coming to your mobile app. Leverage Black Friday sales to gain new users looking to fill their new, shiny devices with new apps and consider Hanukkah to reach a large demographic that is often being missed. 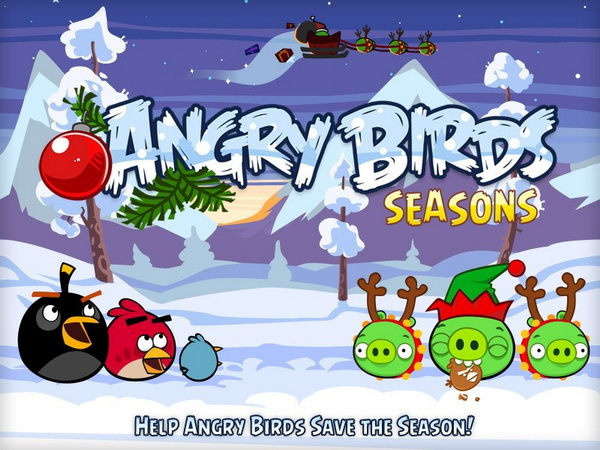 Give your app content or in-app purchases a holiday theme. Throw in some snowflakes and candy canes! While app store activity is the highest during the winter months, quality players will cost you more. So track your top-performing segments and allocate your budget correspondingly. Don’t forget about ASO. Holiday ad spend is the highest and you’d want to eliminate the risk of wasting it. Make sure you utilize predictive technologies to know as early as possible how your campaign is going to perform, maximize return with highly engaging video creatives, leverage new ad formats and test EVERYTHING! 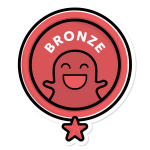 The holidays are a great opportunity to spread the festive spirit, so consider giving away some freebies to improve your retention and user loyalty. Achieve success with broad media coverage and, while focusing on the most effective channels (e.g. Facebook), don’t overlook other platforms (e.g. Instagram, Twitter, YouTube). With creatives uniquely personalized for each media platform, you’ll be able to grow your user base substantially. The magic happens with constant optimization and measurement throughout the funnel so, while your users are on vacation, your optimization is not. Brace yourself for a record-breaking holiday season! And if you need help refining your holistic approach to UA and ASO before the holiday competition heats up, let us know!